Just got this one from a lady that doesn't need this machine anymore. 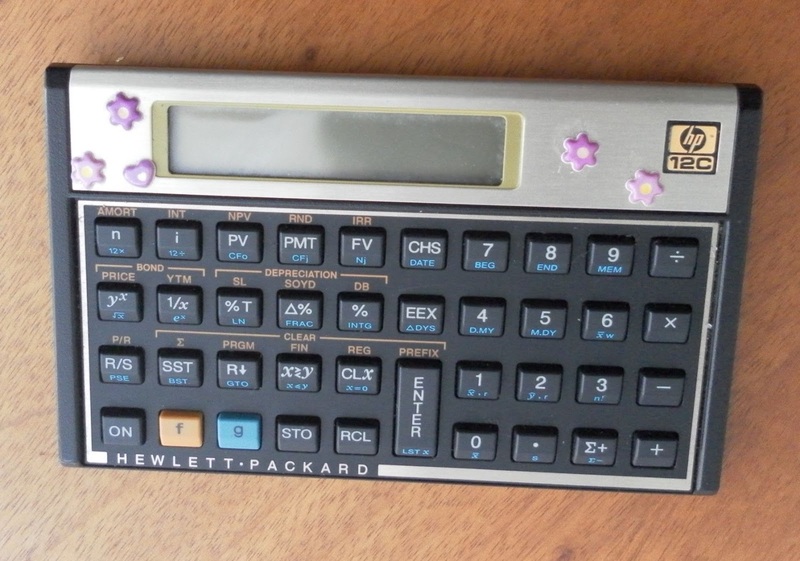 How lovely decoration she gave to her cherished calculator! 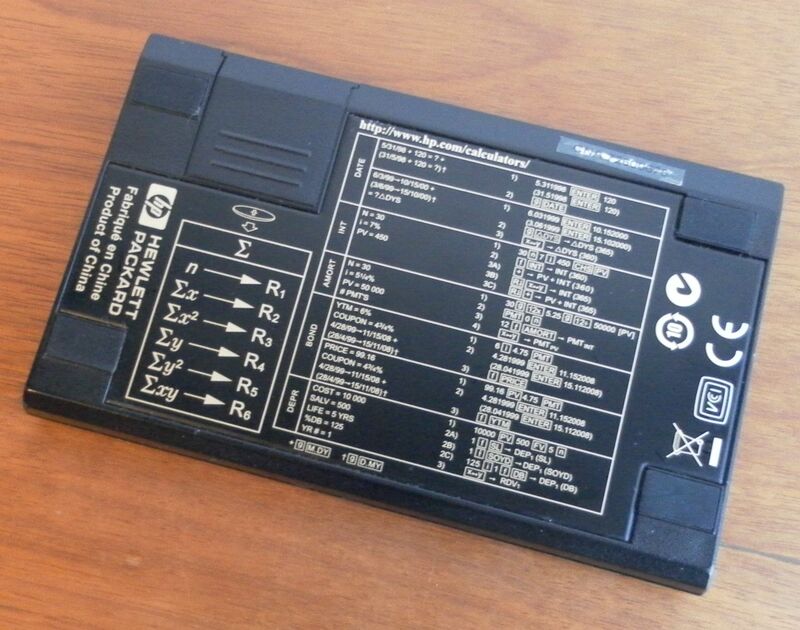 Even so, it didn't stop the calculator to developed a failure after just a couple of years of usage. 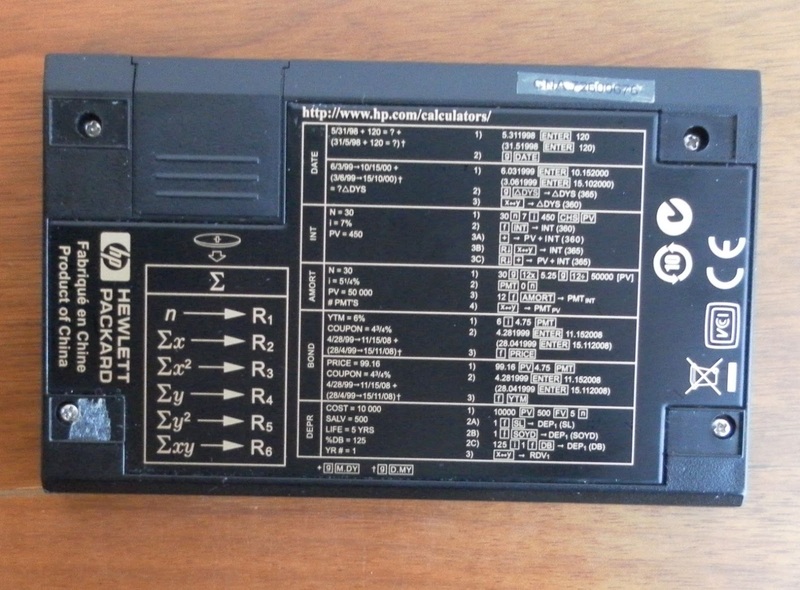 This RPN financial calculator was made in China on year 2007 week 26 (CNA72600676). 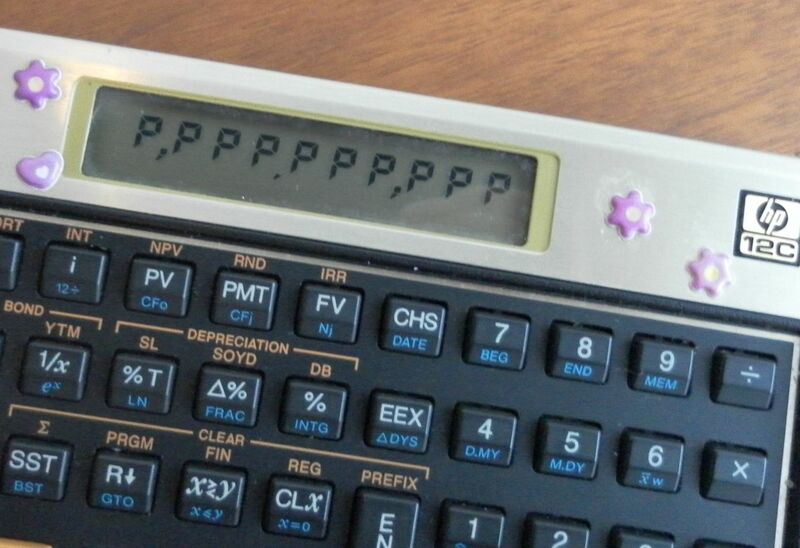 The calculator developed a fault in the display area. Pressing lightly on the front bezel above the keyboard fixes the issue. So, it was time to open the machine and have a look inside. I was curious to find out what processor did HP deployed on this 2007 batch. 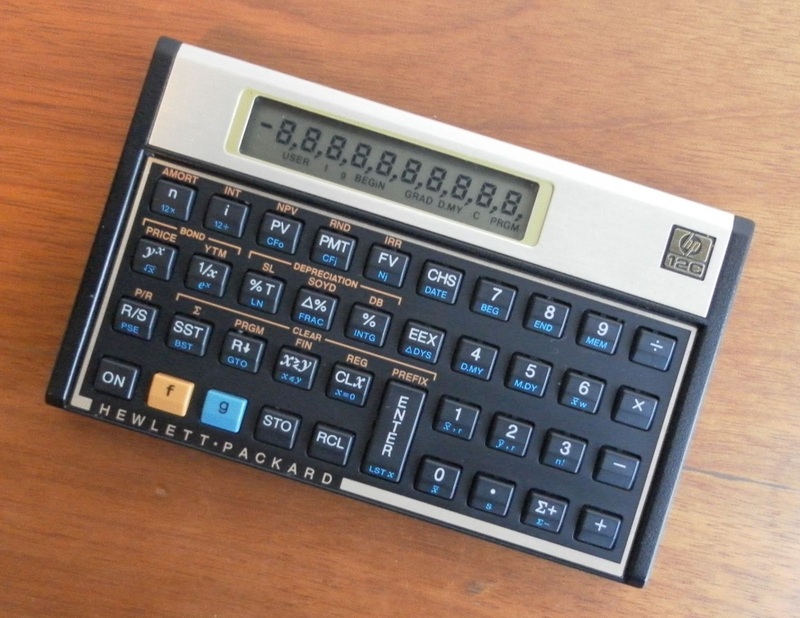 It is well known that HP used several different processors along the long life cycle of this calculator model. Some details here and here. This 2007 series uses a single CR2032 3V battery cell. To pen the case, I have just removed 5 screws (four of them under the rubber feet). Then I used a common plastic pry tool to unlatch and remove the back cover. 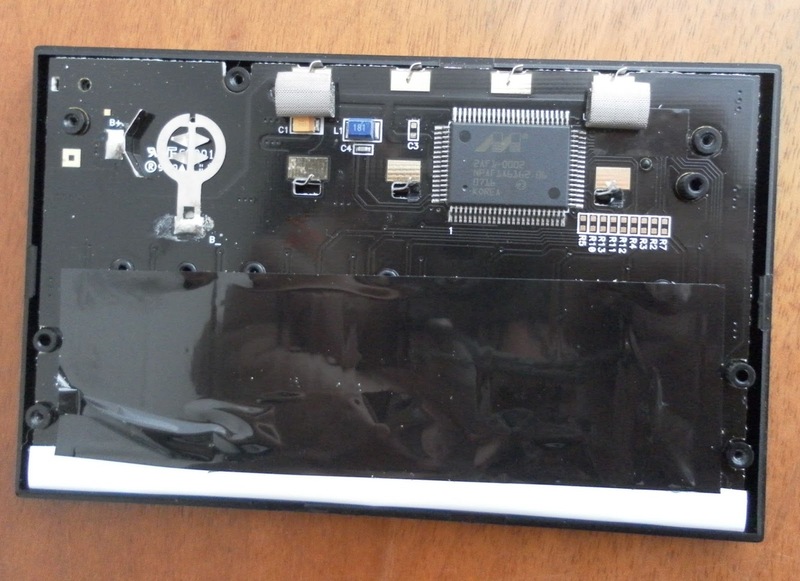 (Brute force approach to remove the back cover can cause damage to the case and to the PCB assembly). Once opened, we see just a single PCB assembly, fixed to the front cover by plastic rivets. To totally disassemble it would require a simple destructive procedure to be avoid at all costs to preserve the original integrity of the machine. So this particular production batch from 2007 uses a 2AF1-0002 HP Nut processor made by Marvell and not the documented in many places as 2AF1-0001. My guess is that HP did change the HP Nut processor manufacturer to Marvell somewhere between the mid 90's and 2007. 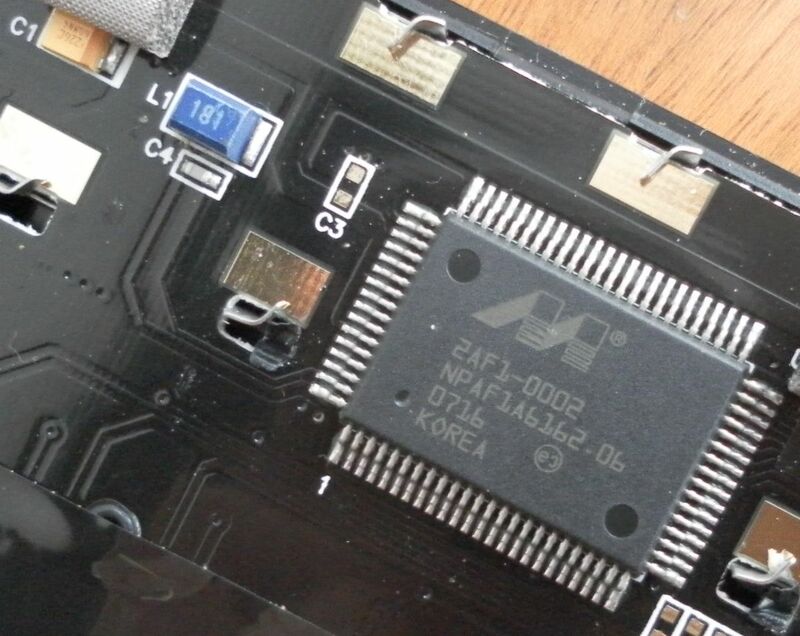 The display missing segments was caused by a bad contact between the PCB and the display assembly. I just had to use a small pliers to tight the seven metal latches a little bit in order to permanently fix it. Family picture showing the main parts and the tools used to open the case. Note the two shielding metal springs. After using isopropyl alcohol to clean the front bezel and back cover from glue residues, it was time to reassembly. The two shield interconnect metal springs have different length. The longer one goes into the hole at the right. And time to close the case. The five screws are back in place once again. 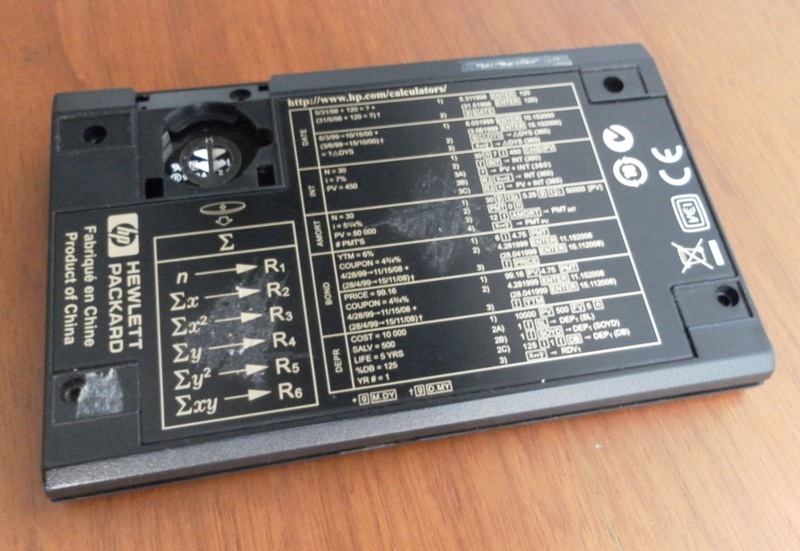 As usual, I used a flat soft surface to sit down the calculator. Then fastened the five screws lightly before applying the final tightening. This prevents the case to become warped.